As owner Rex Briant says, "at White Pointer Boats, fit-out and construction are the bones to longevity." In practice it means a meticulous approach to boat building that includes fitting all options and accessories to the bare hull before removing them again prior to painting. This ensures the elimination of any contaminants and prevents electrolysis. Furthermore, every bolted feature is sealed with Lanolin and Duralack products to combat corrosion, while all other fixtures and fittings are insulated. 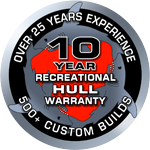 After 25 years of boat building, it's this sort of attention to detail that gives the company confidence to offer a 10-year construction warranty on all recreational hulls. For 25 years now we have been refining our product all based around a practicle work horse that enhances the advantages of Aluminium. Aluminium is a strong but light weight product that has a high corrosion resistance to the salt water environment and is a user friendly material to shape, weld, customise and later modify or rebuild if required. 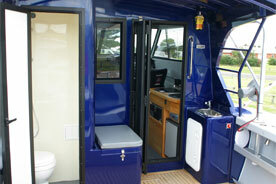 We have always viewed ideas as being practical and functional with immaculate craftsman like engineering. 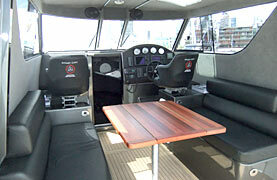 We have produced boats suitable for strictly work functions right up to the most glamorous comfortable weekender. High standards of painting and upholstery can set the scene for what your looking for but more often than not its what you can't see that sets us apart from the rest. While we provide as much information as possible on our website and brochures its the little things we have developed over many years that never get a mention. A White Pointer's shape is its defining feature. Created by combining traditional and state-of-the-art methods, the process begins with CAD design and CUT technology before the hull skin is shaped over a pre-determined frame and girder type structure. Coupled with a unique weld sequence, the result is a rounded, compound curve hull shape that "squeezes" water out and provides an incredibly soft ride. White Pointer Boats are welded inside and out, which allows for high quality finishing of the external welds with out compromising their strength. In fact, White Pointers are fully welded in areas where other companies simply don't bother. The most obvious area is the gunnel cap or buffer rail that surrounds the boat, which we consider to be a high impact area. 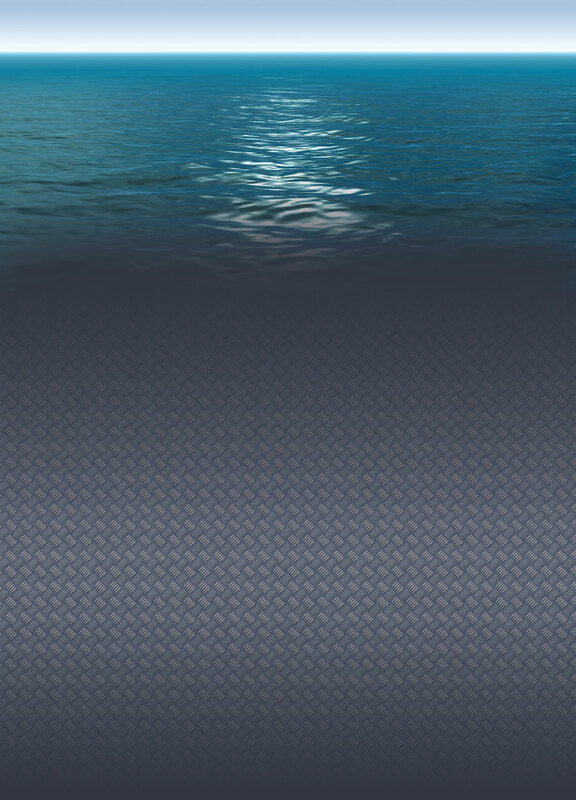 This area is without a doubt the most under recognised component in a great boat build. 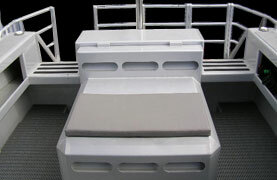 For instance, each White Pointer boat receives a pre-paint fit-out. This requires every piece of equipment to be installed in the boat before painting to ensure that all drill holes and all brackets and supports are in precisely the right position. 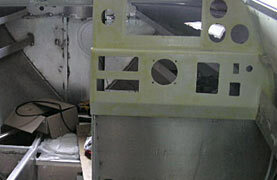 All fittings are then removed in preparation for the craft to be painted. It's this meticulous approach to boat building that separates a White Pointer from anything else in the water. When every box has been ticked during Stage 1, the boat is ready for coating - knowing all holes and fixings will not require drilling or modification after the coating has been applied thanks to the exacting approach at the pre-paint stage. White Pointer's dedicated team of technicians then see that every component is installed with care and precision - and with anti-corrosion sealants designed to minimise surface corrosion and paint deterioration. 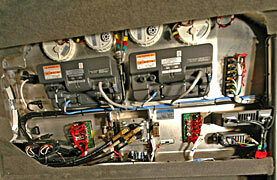 The wiring systems for White Pointer Boats are pre-designed and custom built off site by professional wiring loom builders. 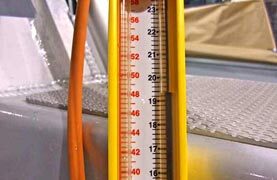 These looms are colour coded, labelled, fused and switched in keeping with the best practices necessary for the harsh marine environment. 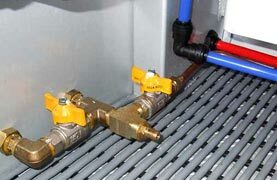 Naturally, strict compliance codes apply to the installation of LPG gas systems in NZ, especially when it comes to LPG use aboard any sea-going vessel. White Pointer Boats not only adhere to the codes, it applies another layer of its own rigorous standards that are thoroughly tested. 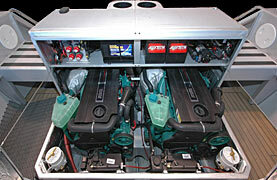 White Pointer is familiar with every make of outboard motor on the market but our expertise is even more valuable when it comes to inboard power plants. Keeping seawater out of the engine box, providing good ventilation and suppressing noise are our key goals when fitting an inboard stern drive. And with more than 25 years experience - testing and challenging our methods along the way - we're confident in delivering the best systems on the market. Once all installations have been completed the boat moves into the upholstery stage. And just as we do with all our equipment, White Pointer offers a choice of the best, most hard wearing fabrics and coverings available. Testing is the reward for all the effort put into the build. 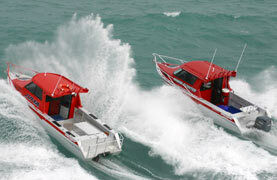 A number of sea trials are preferred, in various conditions, to isolate any possible faults or teething problems. When 100% happy, we hand over and explain all the detail of your new craft. We look forward to this being an informative and rewarding moment.